The single malt, named World Whisky of the Year in 2012 by Jim Murray’s Whisky Bible, is being offered for sale as part of a twin pack that also includes a bottle of Old Pulteney1989 Vintage – named World’s Best Single Malt in the World Whiskies Awards 2016. Priced at £600 each and available from mid-July, 276 twin packs are being made available exclusively in the UK, each one numbered and accompanied by a certificate signed by Pulteney distillery manager Malcolm Waring. 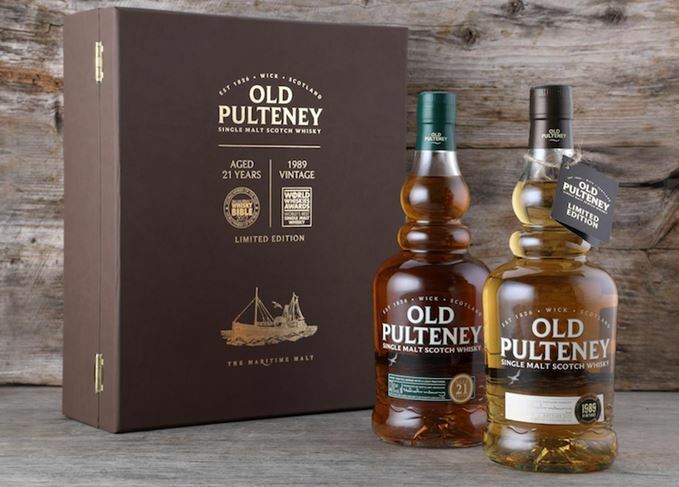 In June last year, Old Pulteney owner Inver House Distillers announced that it would discontinue the distillery’s 17-year-old and 21-year-old expressions thanks to a lack of available stock.